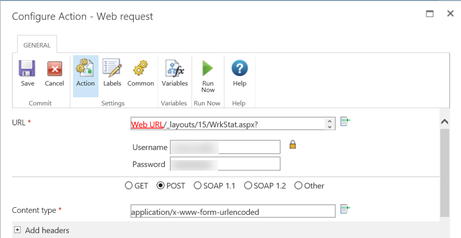 In the last post, Terminate Site Workflows with Nintex – Part 1, we went through the process of identifying the HTML markup and data elements under the covers necessary to terminate site workflows through Nintex. In this article, we will build the Nintex site workflow to perform the operation. Also, from the previous post, we saw that we already have 2 form fields already: __EVENTTARGET, which has a static value of ctl00$PlaceHolderMain_HtmlAnchorEnd and __EVENTARGUMENT, which is blank. 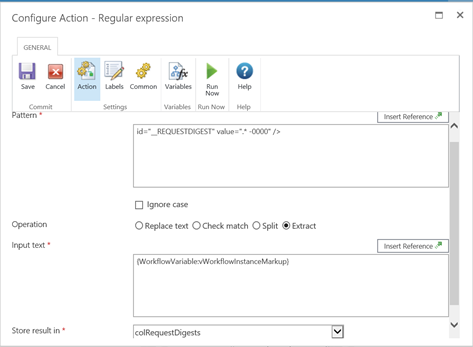 So the only dynamic values we need to extract through the Nintex process are: Workflow Instance ID and __REQUESTDIGEST. 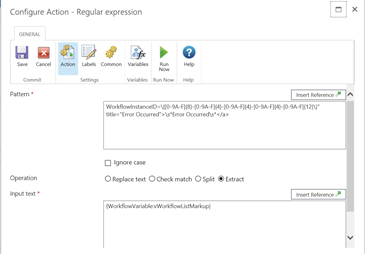 Extract all of the Workflow Instance IDs of the workflows with the status of “Error Occurred”. 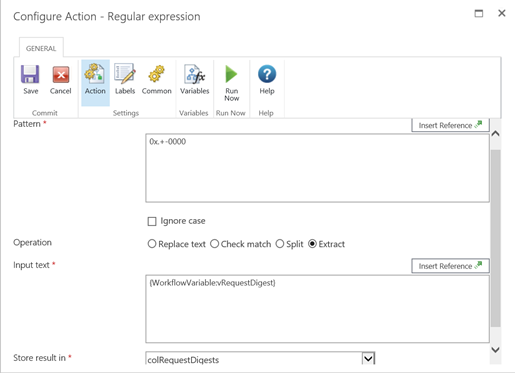 colRequestDigests Collection Holds the single-item collection of the Request Digest from the Workflow Instance Page. 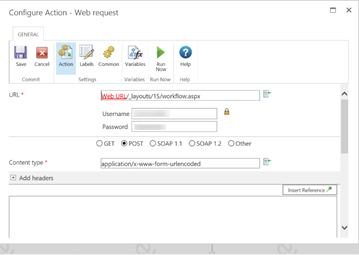 We first need to get the markup for all the “Site Workflows” page so that we can extract all of the “Error Ocurred” workflow links. Note: This collection will hold markup from which the WorkflowInstanceID will still need to be extracted. 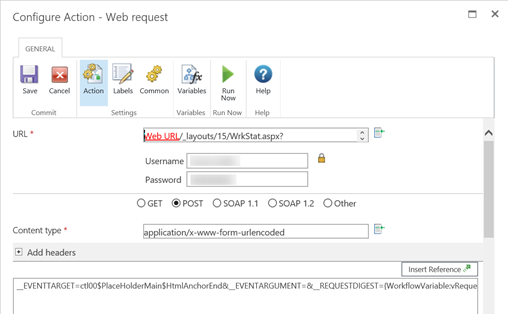 Under the “Common” ribbon item, add an entry logging the value of cntColWFInstances in the “Message to log on Completion” field. All that’s left is to Publish and Execute! Here’s a link to Download the Terminate Site Workflows Workflow (Rt Click and Save As).